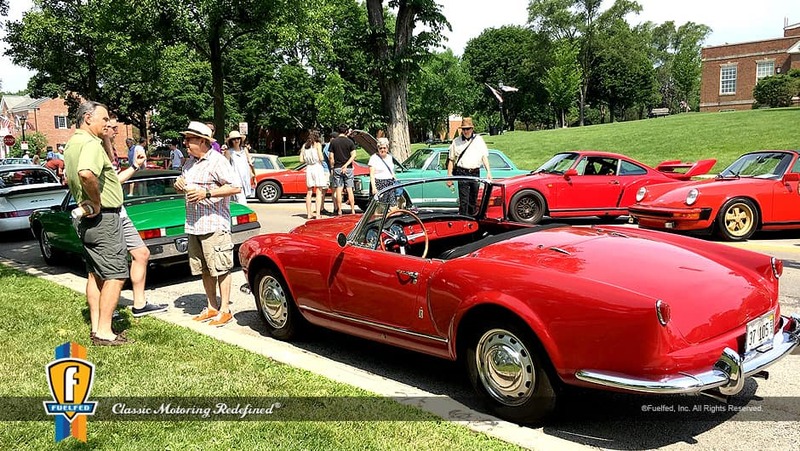 On Sunday, June 17th, Fuelfed®, the Chicagoland classic European car club, hosted their popular Coffee & Classics gathering. This event, held in downtown Hinsdale right by the train tracks, was the perfect way to kick off a nice Father’s day. Featured at the event were classic pre-1990 European cars, ranging from some of the icons to more unique, obscure vehicles. 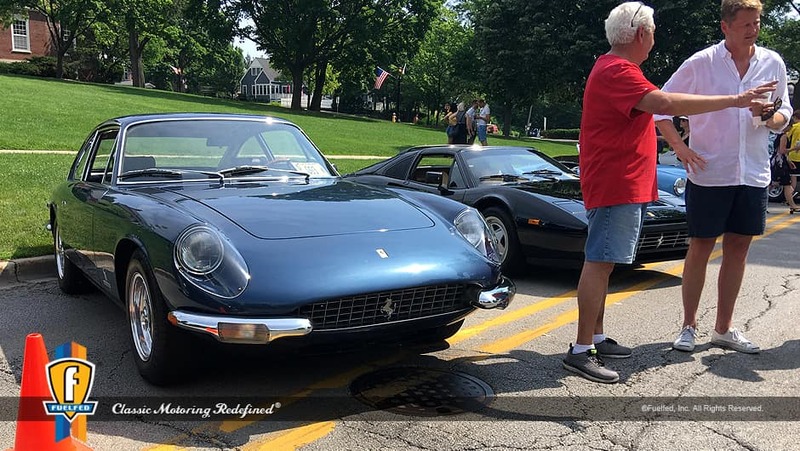 Continental AutoSports participated in this event, bringing along some of our pre-owned inventory, including our 1988 Ferrari 328 GTS along with our stunning 1970 Ferrari 365GT. The cars were at home among some of their classic counterparts from brands such as Porsche, Jaguar, Audi to name a few. My father and Continental Dealer Principal, Joel Weinberger, contributed to the event as well, bringing both his 1985 Porsche 911 Carrera and 1965 Alfa Romeo Giulia Super. As some likely remember, that weekend saw some extreme heat, reaching temperatures in the mid-90s early in the day. The heat, however, could not stop the fantastic event, as there was an impressive turnout for both the cars as well as spectators. 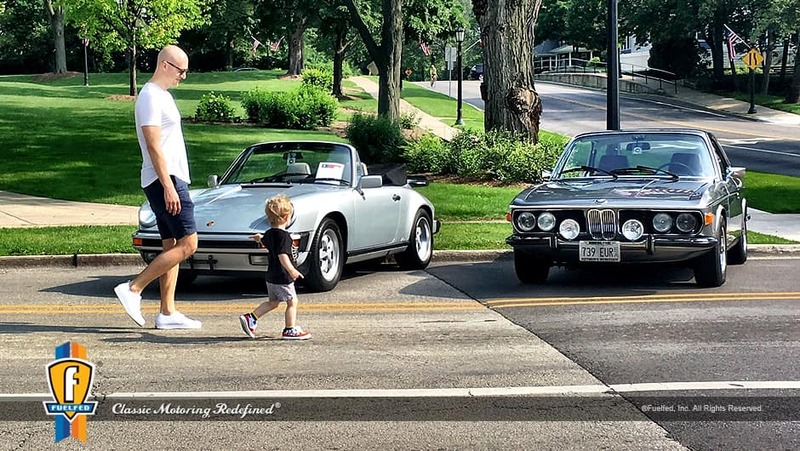 With many passing through during the course of the event and all the conversation going on between car enthusiasts, the event was a clear success and a welcome addition to this year’s Father’s day.